Locked out of your car or house? 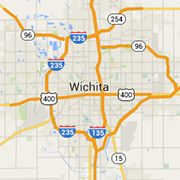 Find a Wichita lock smithing service for lockouts, laser cut keys, custom keys, auto locks, padlocks, safes and electronic card access. Residential and commercial lock smiths.